The nephew of Gambian President Yahya Jammeh says he faces life in prison or even death in his homeland because of a pro-gay message he posted to his Facebook page. 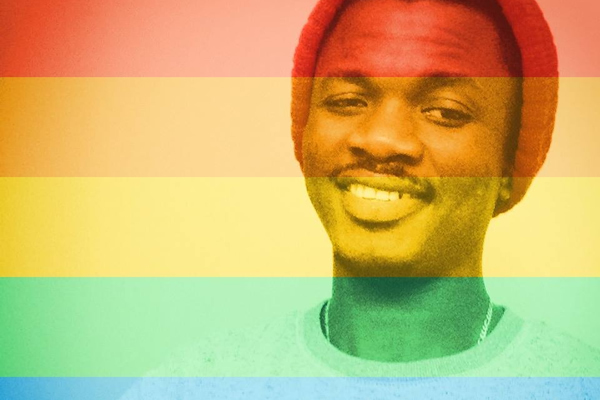 Alagie Jammeh, who is a student at the University of California, Santa Barbara, last September wrote “no one should be denied of their fundamental basic human rights because of their sexuality.” He told the Washington Blade earlier this month during a telephone interview that he decided to post the message to his Facebook page after becoming friends with a gay man. Alagie Jammeh, 25, said members of his family in Gambia were “disappointed” in him over the post. He told the Blade they urged him to remove it from his Facebook page because they worried that he would lose the government scholarship he had received to study in the U.S.
Alagie Jammeh told the Blade he eventually lost his scholarship. He said he had to live out of his car after his landlord last November evicted him because he was unable to pay his rent. Alagie Jammeh told the Blade he also had to sell his laptop and other belongings for food. Alagie Jammeh said his mother has also left Gambia. He told the Blade that his uncle’s government has requested that he return to his homeland and publicly apologize for the post. “I’m not going to do that,” said Alagie Jammeh. Alagie Jammeh told the Blade there is an “80 percent chance that I will end up in prison” if he were to return to Gambia. “I’m also scared they might kill me if I return to Gambia,” he added. Gambia is among the countries in which homosexuality remains illegal. Yahya Jammeh last fall signed a law under which those who are convicted of “aggravated homosexuality” in the small West African country face life in prison. Advocates and U.S. officials have also repeatedly criticized the Gambian president over his anti-LGBT rhetoric, which includes a threat to slit the throats of gay men who live in his country. Alagie Jammeh spoke with the Blade shortly after a Gambian court acquitted three men who had been charged under the country’s “aggravated homosexuality” law. Alieu Sarr, one of those who was released after spending nearly eight months in custody, on Monday told Fatou Camara, a Gambian journalist who was Yahya Jammeh’s press secretary before fleeing to the U.S. in 2013, that he was routinely tortured and beaten. State Department spokesperson John Kirby during his daily press briefing on Aug. 10 did not specifically answer the Blade’s question about Alagie Jammeh’s allegations. Kirby did, however, reiterate the State Department’s previous criticisms of the Gambian government’s LGBT rights record. Alagie Jammeh has launched a GoFundMe page to help him raise funds that will allow him to continue his education in the U.S. He has thus far raised more than $14,000. 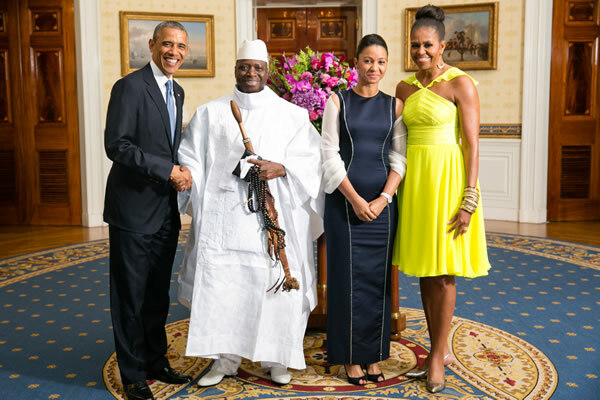 Alagie Jammeh is currently living with a lesbian couple in California. Alagie Jammeh told the Blade that members of the First Congregational Church of Santa Barbara and officials at UC Santa Barbara continue to offer assistance. George Foulsham, a spokesperson for UC Santa Barbara, told the Blade on Tuesday that university officials “are aware” of Alagie Jammeh’s case and are working with him “as we would with any student in a similar situation.” Foulsham declined to comment further, citing student privacy laws. “The opportunity to graduate and achieve my goals is keeping me going,” wrote Alagie Jammeh on his GoFundMe page. Pierre Minteh of the Gambian Embassy in D.C. on Tuesday dismissed Alagie Jammeh’s allegations. “He’s completely lying,” Minteh told the Blade during a telephone interview. Minteh told the Blade the embassy has “given” Alagie Jammeh “the necessary assistance.” Minteh also noted that Yahya Jammeh — and not the Gambian government — gave him the scholarship to attend UC Santa Barbara. Alagie Jammeh dismissed Minteh’s claims as government propaganda. “For him to say I am doing this to get attention is totally false,” Alagie Jammeh told the Blade on Tuesday. Alagie Jammeh told the Blade that he “felt the same way” when he lived in Gambia. He said his attitudes towards homosexuality and LGBT rights changed once he moved to the U.S. It is a shame to see the president of the United States do a photo up “with a big smile” with the most brutal dictator in Africa. Many families are crying every night due to his cruel regime! The Gambian Americans that cry their eyes to sleep every night because of their missing families, their tortured brothers and sisters demand nothing less than a travel ban and sanctions from the Obama administration. We voted for you Obama because we had faith in you. I personally wrote you many letters about the agony my family goes through every day about my missing brothers Alhagie Mamut Ceesay and Ebou Jobe “American citizens” but still no actions have been taken to yield any results. The last thing I want to see is you sharing a laugh with the same man that kidnapped “your” brother “American Citizen”. This story shows you nothing more than what the Gambians in the diaspora have been calling your attention to. Total injustice at its best display. Actions must be taken if “AllLivesMatter”!